Hosts Stu Horvath and John McGuire welcome you back and layout the topics for Episode 3 (00:16). Hambone starts things off with Bill & Ted’s Excellent Board Game (01:16) and Stu drops a fascinating fact about Keanu Reeves (01:45). The guys introduce the main topic: West End Games’ Ghostbusters RPG (05:09). Discussion starts with fond memories of the movie (05:14), the cartoon (06:09) and toys (06:21). Stu breaks down the history of the Ghostbusters RPG (08:05) its weird connection to Chaosium (08:13) and how it forms the mechanical basis of West End’s Star Wars RPG by Greg Costikyan (09:06). Stu then talks about Timothy Zahn and the fallow days of the Star Wars franchise (10:00). Hambone then takes a deep dive into the contents of the box set (10:54) and the fun player handouts and movie callbacks found inside. Conversation turns to how awkward in-character dating is for the game master (16:00). Stu ruminates on simple systems, casual tabletop gaming and the different ways different people play (17:50). Finally, Hambone talks about how the box solves the biggest mystery of the Ghostbusters franchise: the ghost classification system (19:30). They wrap up with a quick rundown of the rest of the line and the cost of collecting the game (23:47). Finally, Hambone is excited about receiving his copy of Into the Borderlands, from Goodman Games (25:07) and Stu blows his mind with a fact about the playtesting of D&D 5E (26:13). 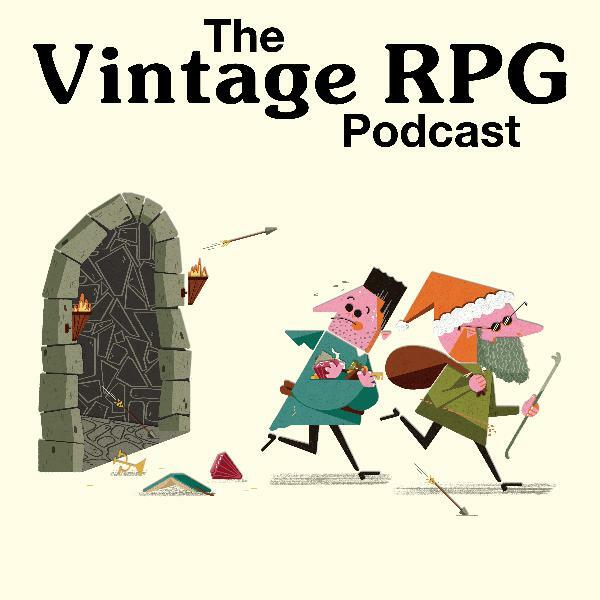 Stu hopes that Goodman Games has success with their line of D&D reprints (27:13). Good-bye until next time (28:31)! Clarification: Wilford Brimley was 51 in 1985, the year Cocoon came out. Keanu Reeves will be 54 on September 2, 2018 (early happy birthday, dude).